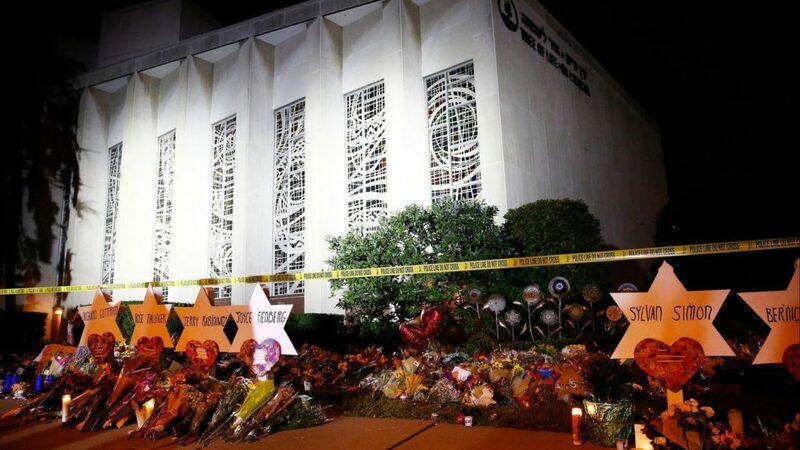 In the days since last month’s horrific attack on Jewish congregants at the Tree of Life Synagogue in Pittsburgh – and in many ways, a much broader attack against all people of faith – there have been two recurring themes that have been prevalent in many of the articles that have followed. One theme has been the surge in faith-based leaders and organizations seeking active shooter training; something we typically see after a significant incident impacting any community. The other has been a lot of questioning about whether the time has come for armed guards at our places of worship and meeting – Jewish facilities and other houses of worship, schools, and facilities. These are both rationale responses, however both are incomplete. Developing real security and resilience requires more than a class and more than weapons – it demands a modest amount of time and effort, on a regular basis, and in a deliberate manner. We call this preparedness. The Federal Emergency Management Agency (FEMA) has invested a lot of time in striving to foster a culture of preparedness. That involves all of us – the “whole community” – working together to support the National Preparedness Goal. According to the FEMA 2018-2022 Strategic Plan, one of the goals for the next five years is to build a culture of preparedness: “Every segment of our society, from individual to government, industry to philanthropy, must be encouraged and empowered with the information it needs to prepare for the inevitable impacts of future disasters.” A big goal, but one we at FB-ISAO think is vital to our collective security and a duty we all have to one another and our country. After the Tree of Life attack, it should be expected and is a positive development that others in the community of faith find urgency in seeking training. It is a good thing to do. The challenge with that reaction is we too often send someone to training, or attend ourselves, and then return to the demands of every day. Time will pass, the impact of the incident lessens, and new issues demand our attention. It can be hard to have effective follow-through if we don’t have a plan to make it a success. Attending training is great – but preparedness demands we do more than check the block. Reassessing security measures is an essential part of building an effective organizational security program. Organizations, leaders, staff, congregation members, and others should question facility security, especially in light of new attacks or threats. Asking questions about the for need armed guards at faith-based organizations is a sensible part of that process, and it’s up to each place of worship and facility to decide what is best. But armed security only partially addresses the challenge of effective response to an attack and it brings risks that one needs to very carefully consider before making a decision. Sad as it is to say, even with twenty armed security personnel securing every door, a determined attacker seeking to cause harm and use violence can be successful regardless of your security measures, or the attacker may find another vulnerable time to strike. Aiming to prevent is admirable; being prepared to respond is critical. Preparedness entails developing basic capabilities through a deliberate cycle – one referred to as the Preparedness Cycle – of planning, organizing and equipping, training, exercising, evaluating and improving, and continuing the cycle. Over time, as you progress through the cycle and with continuous improvement, your organization begins to build a culture of preparedness. We encourage faith-based organizations to avoid knee-jerk reactions, but rather, take a methodical, deliberate approach to increasing preparedness and fostering a preparedness mindset among your leaders, staff, and congregation. Consider your resources – both time and personnel – and develop a realistic goal for achieving a desired level of readiness. Then begin the process, taking it in steps, and building as you go. Think Broader Than Active Shooters. As stated above, a determined attacker seeking to cause harm and use violence can be successful regardless of your security measures. Even if you were able to eliminate the threat of gun violence, a determined attacker can cause harm with any number of potential weapons. In our last post we wrote that whether with a gun, an edged-weapon, explosives, vehicles, or any number of potential weapons, once an attacker has determined that they will attack – there will always be the possibility that an unexpected hostile event can occur. Your approach to preparedness should respect the possibility of a hostile event broadly, not just the potential for an active shooter. We use the term “Hostile Event” to encompass a variety of events involving the killing or attempt to kill in public while having access to additional victims. This includes active shooter incidents, workplace violence and workplace attacks, lone actor and low-tech terrorism, complex coordinated terrorist attacks, and other related activities. In the recent update to NFPA 3000, the National Fire Protection Association adopted the term “ASHER” for Active Shooter / Hostile Event Response. That is a mindset we all need to embrace. Designate a Champion. We all get distracted by the demands of our day-to-day. Preparedness is not easy, not always exciting, and requires deliberate attention. As such, rather than put it on the “I’ll get to it” list, designate someone to champion organizational preparedness. If not a single person, consider designating a committee as the champion, or whatever works for your organization. This champion should develop goals and milestones and be given the authority to move things along and make progress. It can be a staff member, an additional duty, a motivated volunteer – anyone that can effectively take ownership for preparedness and that is given the authority and support to succeed. FB-ISAO encourages a process that ideally would include: education, individual training, planning workshops and plans development, tabletop exercises (TTX) and progression to more complex operational exercise like drill(s) and maturing towards functional and full-scale exercises. There are critical actions that go along with all these activities, and it is important to properly plan and document each of these events. But this needn’t be costly, and a motivated champion can do a lot of great work using freely available guidance and references. In the months ahead, FB-ISAO looks forward to introducing tools to help further enhance the security and resilience of the community of faith, to help members better communicate, alert, and share with other members, as well as begin our routine offering of hostile events preparedness education (via webinar). In the meanwhile, please contact our team to join the developing FB-ISAO community.